In this post we look at the horoscope of the explosion at the Fukushima nuclear plant as a result of the Japan earthquake. As was mentioned in the discussion on the Japan Horoscope posts, the trans-Neptunian planet Sedna was included in the chart because it may well be linked to the earth changes we are experiencing. I don’t care anymore about the statistics and what the increasingly marginalized skeptics might say, we are definitely seeing and increase in the number and severity of natural disasters in the beginning of the 21st century. 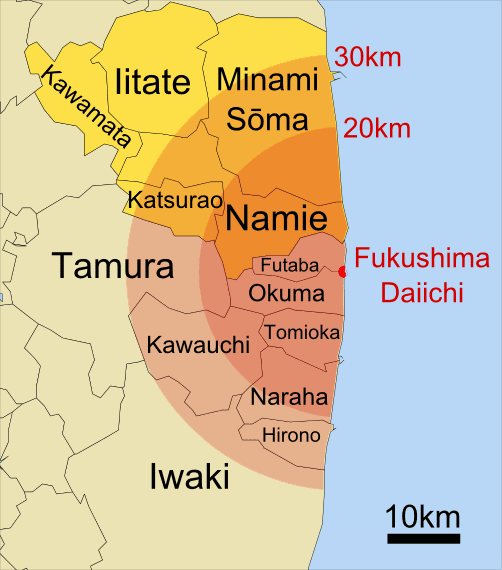 The explosion which blew the lid off the Fukushima I nuclear plant occurred on March 11, 2011 at 3.36 pm . You can see in the chart below that Sedna is conjunct the Midheaven. Conjunct the Descendant is Ceres, associated with environmental concerns. There are a couple of stars rising which describe the event very well. The Alphard star in Hydra the Water Snake. Astrologers have always associated this star with poison, so these days nuclear radiation would fit the interpretation. The other rising star is Adhafera in constellation Leo. The Adhafera star is associated with “suicide poison, corrosive acids, liquid explosives, liquid fire” . Fukushima accident: Ceres conjunct DC. 2. Fixed Stars and Constellations in Astrology, Vivian E. Robson, 1923, p.117. I was wondering if the above chart figures in the Uranus/Pluto transit which you say will peak November 1st, 2013. In other words, can you look at the above chart as an entity vulnerable to this transit – just as we individuals are influenced by transits. The 10 degree Jupiter in Aries and the 7 degree Pluto in Capricorn are of interest. The mainstream news is reporting what many have been saying for years now – including NBC, Bloomberg, BBC, and CNN. There is doubt that this can ever be fixed. Any thoughts & reflections on the future of this catastrophe? – The power line tower of units 5 & 6 fell over due to a collapse of the embankment. Consequently, the whole site lost its outside power source. 3/11 was Japan’s 9/11. It’s all documented! I showed this ‘fukureport’ to someone more knowledgeable than me – and he doesn’t think the science is very sound. I am not qualified to judge. There are plenty of lies and secrets to be sure, but I’m hoping you will be around far longer than you may today imagine.